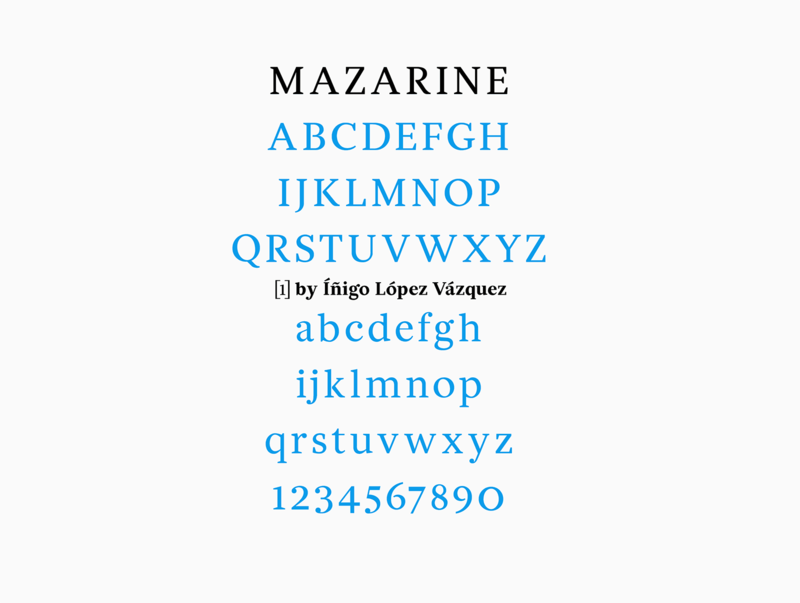 Mazarine is an austere text face designed by Íñigo López under the guidance of Jean François Porchez during the summer of 2015. 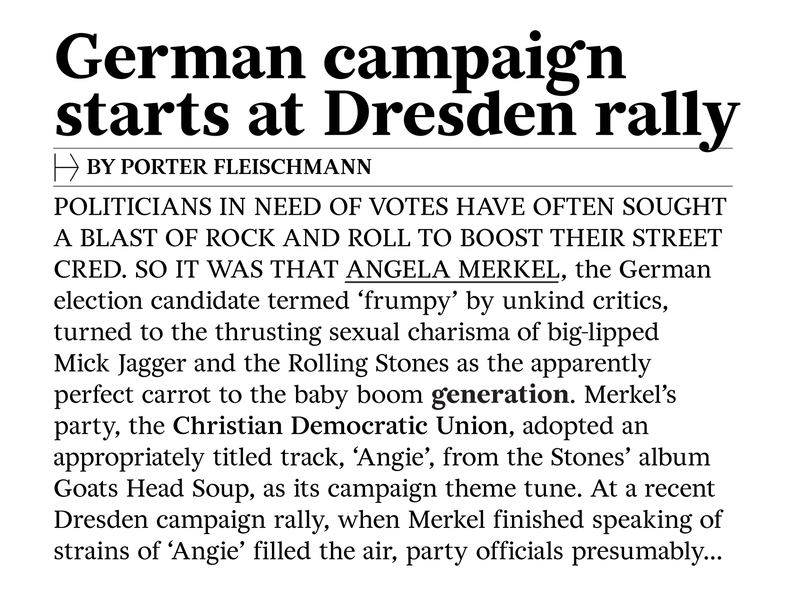 Mazarine was designed to be used as a newspaper font that could work for short texts while offering the readability & comfort of Renaissance fonts (much in the spirit of fonts like Times or Georgia). Its large x-height & contemporary proportions however, make it a lot more versatile than the usual Renaissance faces. The letters were first hand-drawn using traditional calligraphy as a model & template. On the top of those models, a simpler & rougher letter was drawn which favored typographic straight lines. This precision is contrasted by an exaggerated 13 degree angle in the rounds letters, which gives the typeface back its warm texture & rhythm. 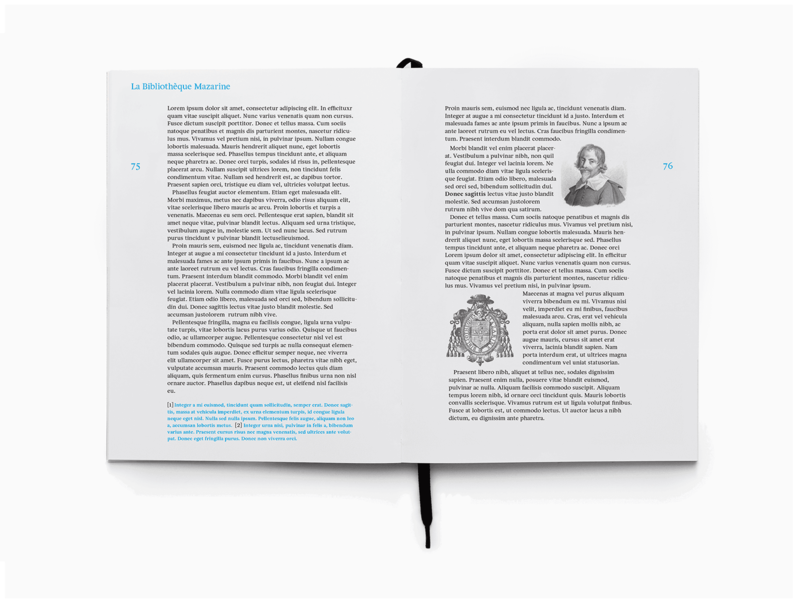 The main purpose of the typeface was to create a readable roman with a crisp texture. 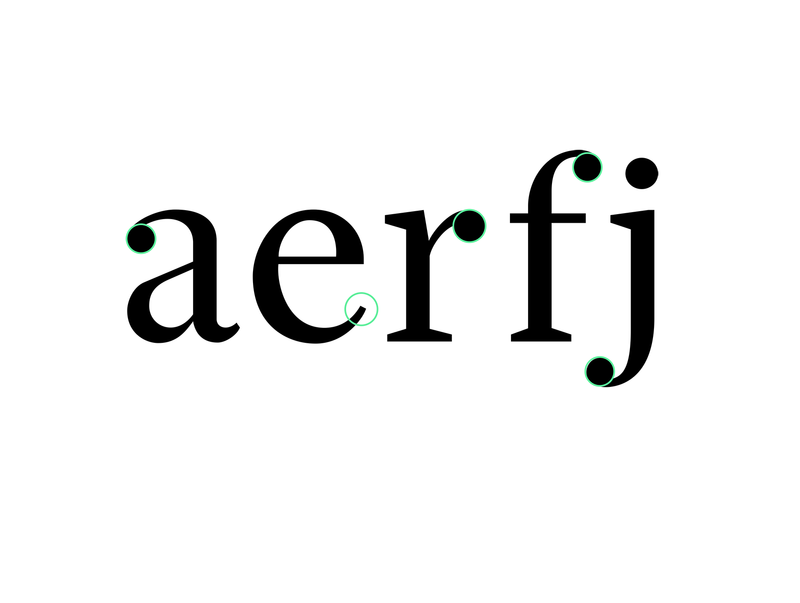 In order to do that, Mazarine draws its bowl terminals & tails from xixth century Scotch typefaces. The building blocks of the typeface are straight lines but also perfect circles which can be seen on the way the bowls are constructed. 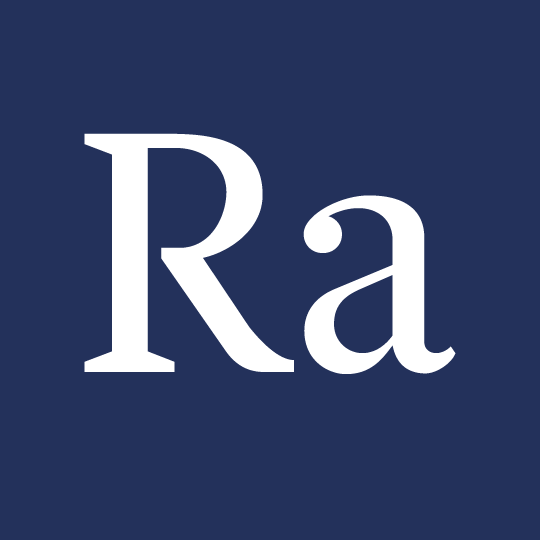 This rationalization of the Renaissance letterforms makes the shapes feel a lot more fresh. 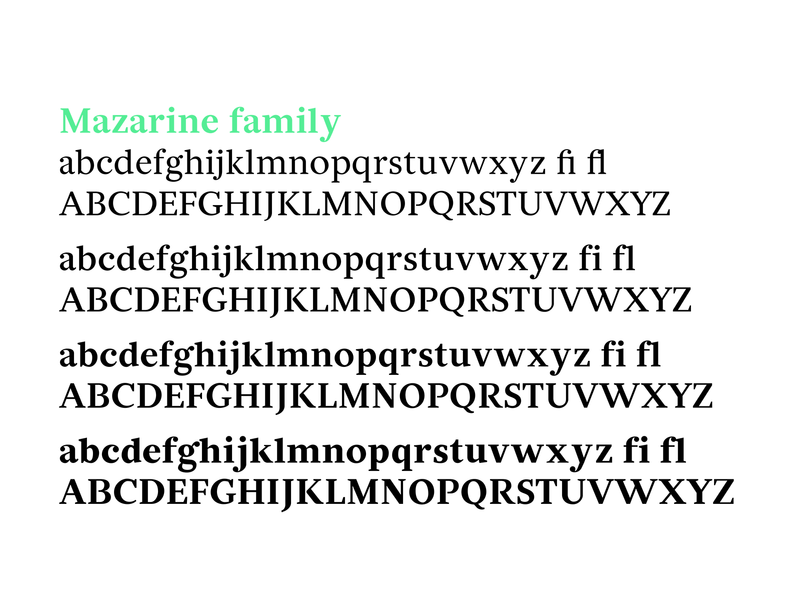 Mazarine comes in four weights & contains old style figures.